Fashion Q&A: How can I update my LBD? Q: I’ve got an LBD I love but it’s a few years old now and I’d like the easiest way to give it an update for a party I’m going to over Christmas. It’s a plain black shift with a round neck and goes in and out in all the right places. What do you suggest? 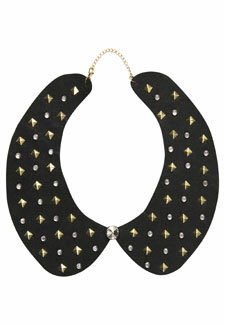 A: The latest hot accessory to hit the stores is the jewelled collar. It will add instant detail and sparkle to your dress and this one is an amazing price of £5 from Primark. Have a great party. HAVE YOUR SAY! Have you got more advice to offer on this question? If so, make sure you add a comment in the box below. if you’ve got a question for one of our experts, you can also post that below as well.